Thank you for your interest in our Young Adult bowling event! Registration is now closed. 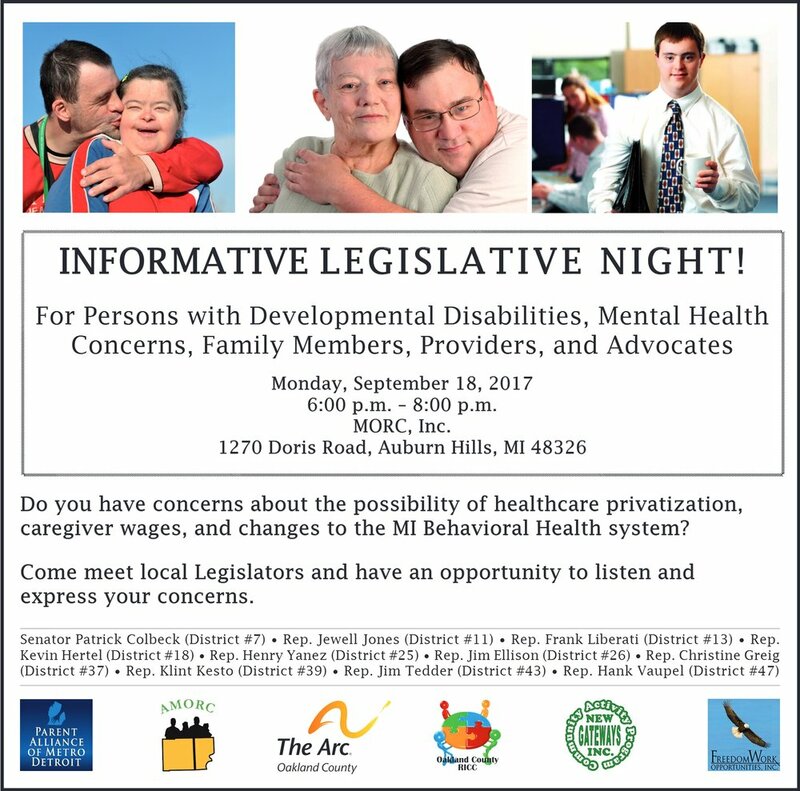 If you have questions, please contact Jenny at jennykabert@jarc.org. An inclusive family friendly event featuring entertainment and movies in the theaters, bowling, music by StarTrax, face painting, dinner (dietary laws observed) and more for children of all abilities! The two feature films, Sherlock Gnomes and Avengers: Infinity War will start at 6:30pm! You may purchase tickets or sponsorships at the door, starting at 5:30 pm tonight. Unable to attend SpringElation, but would like to make a contribution? Click the "DONATE" button below. To volunteer at JARCapalooza please go to our volunteer page. JARC, an organization serving people with disabilities, is bringing Emmy-winning comedian Dennis Miller to Detroit for an exclusive, one-night performance. Miller will take the stage in honor of JARC’s 35th annual fall fundraiser. Combine your love of fashion and passion for JARC at the SHE Fall Shopping Event, October 22-24, 2015. This Trunk Show will feature the Smythe Spring 2016 Collection and one-of-a-kind jewelry from The Calliber Collection. A portion of all sales will be donated to JARC. As part of Mental Health Awareness Month, we have a great opportunity to make our voices heard at a statewide rally at the state capitol next Wednesday, May 6! The Walk A Mile In My Shoes event is for people with developmental disabilities and mental illness and their families. JARC is partnering with Kadima to provide a bus to the rally in Lansing. Remember, there is strength in numbers! There is no charge for the bus or attending the event. Seats are limited. Please RSVP to carolkaczander@jarc.org or call 248-488-7523 by Monday, May 4 at noon if you plan to attend! Looking for a unique gift idea for that sport’s enthusiast on your list? Purchase tickets for the Detroit Piston’s game verses the Cleveland Cavaliers on Tuesday, February 24, 2015 at 7:30 p.m. Ticket prices start at $40 and go up to $155, depending on seats. A portion of proceeds from ticket sales for this game go back to JARC. PLEASE REMEMBER: All tickets are subject to availability and handled first come, first served. Tickets will be mailed to the address provided at checkout. All tickets will be mailed on Tuesday, February 10, 2015. *Bonus: If we sell over 200 tickets a photo opportunity on the court after the game will be made possible for all of our guest! Art Leaders Gallery is hosting a special Borowski glass sculpture exhibition and sale to support JARC, an organization serving people with disabilities. The fundraising event will be held on Friday, March 14, 2014 from 6 p.m. to 9 p.m. at the gallery’s West Bloomfield location at 33086 Northwestern Highway. 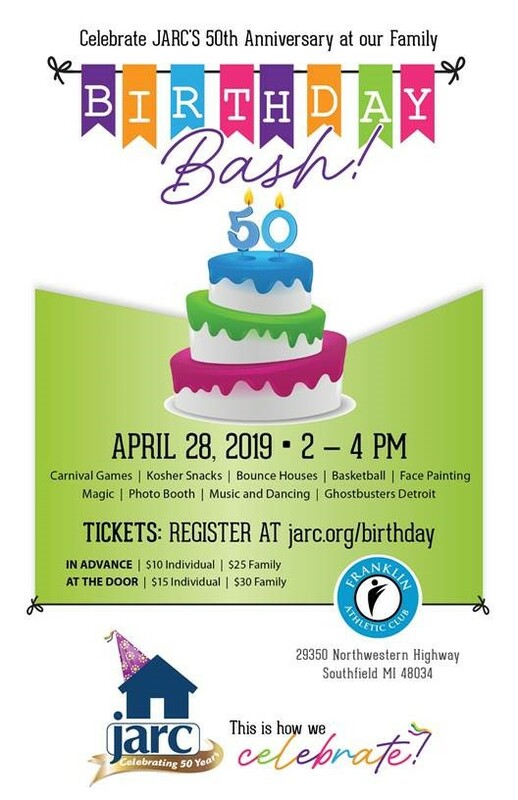 This fun-filled, all-inclusive family evening helps raise funds to benefit children with disabilities receiving services through JARC's Merle and Shirley Harris Children and Family Services.